Had Hillary Clinton become president, her administration would have covered up all these crimes. That was the entire plan, of course: Fake the polls, run a fake news media blitz and steal the election by convincing people that Clinton’s victory was inevitable. From there, Obama would pass the baton to Clinton, where the criminal collusion of both of them would be forever buried under a web of complicit FBI directors and media lackeys who have abandoned real journalism. But Trump’s victory threw the plan into disarray, and now the true depth of the collusion and corruption of the Obama-Clinton crime machine is finally coming to light. 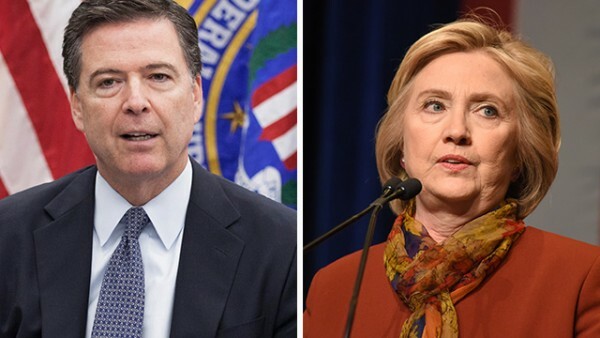 With this new evidence emerging that proves the Obama administration covered up Hillary Clinton’s pay-to-play corruption, President Trump and Attorney General Jeff Sessions must pursue criminal prosecutions against all the top officials who were involved. This list includes Robert Mueller himself, as well as James Comey, Loretta Lynch, Eric Holder, Hillary Clinton and a long list of other complicit co-conspirators. These people conspired to sell out America’s uranium supply — a strategic resource needed for national defense — to one of America’s most dangerous enemies, all in exchange for over $100 million that got funneled into the Clinton Foundation. The facts of what went down are, themselves, an indictment of Obama regime officials who were fully aware of what was happening but allowed it to take place anyway. “The Trump administration doesn’t need another special counsel,” writes the National Sentinel. “All that needs to happen is for Attorney General Jeff Sessions to use the evidence the FBI already has and start issuing arrest warrants.